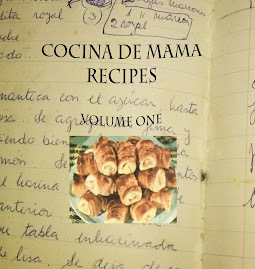 Cocina de Mama: Cañoncitos de Crema - Cream Canons! One of the most wonderful pleasures in an Argentine house is when the pastries are placed on the table...whether it's freshly made and warm for breakfast...or as a lovely dessert, the sweet breads or dulce de leche filled desserts are divine! 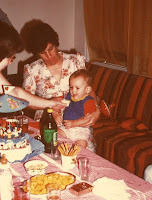 This is a favourite that was always at gatherings when I was growing up. Cut the butter into cubes about 1.5 cm and mix with the flour in a bowl. Add the ice cold water and mix with a butter knife until you have a heavy dough. Place the dough on a cold surface (marble is best) sprinkled with flour. Roll out the dough until thin. Sprinkle some flour and fold into three. Roll out again. Repeat this three times. And roll out the dough to 1/2cm thickness. Cut strips of 2cm wide and 2cm long. Place the tube molds in cold water and wrap the pastry around the molds in a spiral pattern. Brush with egg and place them on trays that have been sprinkled with cold water. For 12-15min bake in an oven of 190-200 degrees - keep an eye on them so they don't burn (different ovens may cook pastry faster). Once removed from the oven let them cool down and take them from the molds. 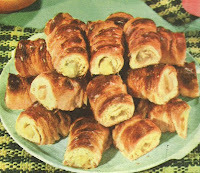 Cut the tubes of pastry into the desired size. Take all the ingredients and and place in a bowl. Beat with a hand held egg beater until peaks are formed. 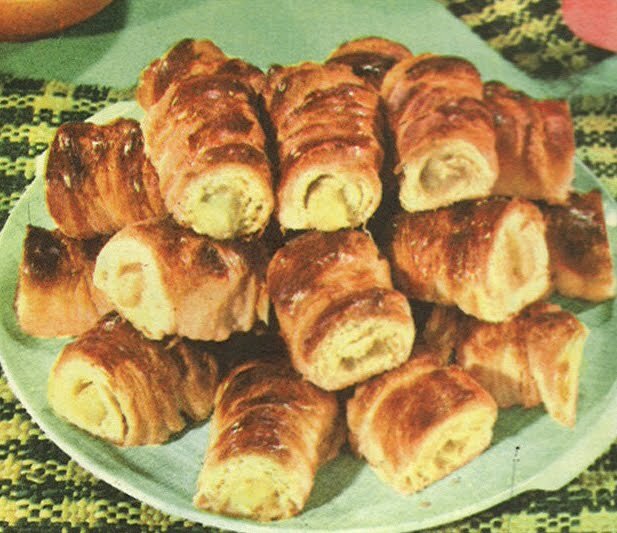 Place the cream into the pastry tubes and you're all done! I have used dulce de leche as an alternative filling - which is wickedly delicious!